In a decision that reinvigorated some of the frustrations between teacher unions and the public school system, a New Jersey elementary school teacher who blamed being late to work 111 times over the past two years on “eating breakfast” was allowed to keep his job. During the 2013-2014 school year, the principal reported Anderson late 46 times, with 16 late punch-ins of five minutes or more. The previous year, Anderson was late 65 times. 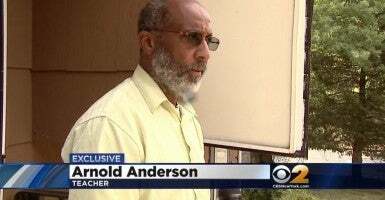 Anderson maintains he was “never late to teach students,” and he claims that the principal of Roosevelt Elementary School was looking for an excuse to fire him. 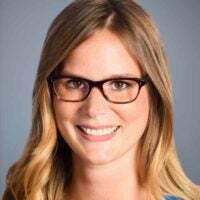 Lindsey Burke, The Heritage Foundation’s leading expert in education policy, blamed the unions for preventing the school from being able to fire a teacher they believed didn’t deserve to be in the classroom. Anderson earns $90,000 a year and has tenure, which makes terminating him more difficult. An arbitrator was appointed by the New Jersey Department of Education to oversee Anderson’s case. Although the arbitrator found “there is no doubt that the District has proven conduct unbecoming chronic tardiness,” on Aug. 19, he ruled that Anderson couldn’t be fired because he was not fairly warned that his behavior could lead to his termination. “He did not receive a formal notice if inefficiency, and he did not have the mandatory 90 day period endeavor to correct those inefficiencies,” the arbitrator wrote. Instead, Anderson was suspended without pay until Jan. 1. And it’s yet one more indication of why the types of schools that are largely free from union micromanagement – private and charter schools – are increasing in popularity. They have the autonomy to make the types of decisions that are in the best interests of their students. The Daily Signal reached out to the American Federation of Teachers, which is the largest teacher union in the country, but they did not return our request for comment. Last year, 64.6 percent of Roosevelt Elementary School students ranked proficient or above in math, and 32 percent ranked proficient or above in language arts. That same year, 61.6 percent of the district’s high school students ranked proficient in math. Overall, in the 2013-2014 school year, 58.6 percent of students in New Brunswick graduated high school—meeting zero percent of its “targets” in that area—and the high school ranked below state averages in almost every category. New Jersey generally ranks higher than the national average in mathematics and other proficiency scores. When he returns, Anderson says he will arrive “early” to school.